What's New for the 2019 Audi A3? In 2019, the A3 is new and improved with a host of desirable new features to mention. 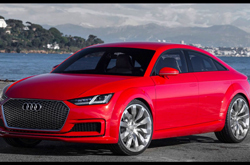 This year's A3 is available in two body styles, which are a convertible and a sedan. The car's all-wheel drive capability provides precise steering and handling when you need it most. The steering itself is also tighter and more responsive, which makes for an all-around safer and more enjoyable driving experience. Rain or shine, you can drive with confidence knowing that your A3 will get you where you need to go. There are two enviable choices of engine, and both are turbo-charged. In addition to fine-tuning in the suspension system and a more powerful engine, this year's A3 gets updated interior amenities, including safety features and technology, to make for a standout driving experience. For the latest model year, the A3 is available in three trim levels. The base model is called the Premium. This model comes standard with a panoramic sunroof, LED headlights with a daytime-running capability, and an infotainment display screen that offers Android Auto, Apple CarPlay, and smartphone compatibility. The latest A3 also comes with leather seats that are also heated, which is very rare among base models. Next in line is the Premium Plus. With this trim, you'll get all the standard amenities that the Premium offers and more. The Premium Plus adds to the list a signature exterior package with distinct fenders, as well as multi-colored 18-inch wheels. This trim level has LED lights in both the front and back for safety and appearance. The Premium Plus has a keyless entry and remote start ability for easy access. 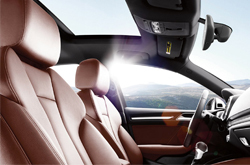 A wireless charging station, which comes standard in this trim level, keeps your devices plugged in and ready for use. Completing its standard amenities are more standard safety amenities, which come in the form of rear cross-traffic alert and side assist. Last but not least is the Prestige. As the name implies, this trim level pulls out all the stops with more standard and available amenities. 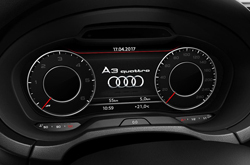 Standard on this trim level are a virtual cockpit, which provides drivers with real-time information about their Audi, and a built-in navigation system with voice command. With this trim level, you'll upgrade to a more sophisticated sound system that includes 14 speakers throughout the cabin. 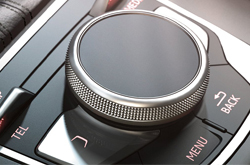 Along with the parking sensors, which are standard on the previous trim levels, this car has a special steering system that helps with parking. There are two choices of engine with this trim level, and it also has heated side mirrors. 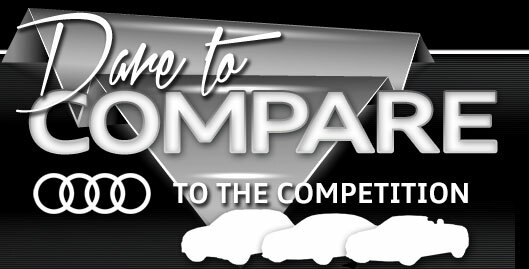 Is the 2019 Audi A3 a Strong Performer? The 2019 A3 is driven by one of two types of engines. The first engine is a four-cylinder, 2.0L engine. This engine can reach a maximum of 184 HP between 4,400 and 6,000 RPM. It also creates a maximum of 222 LB-FT of torque between 1,600 and 4,300 RPM. The available engine is also a four-cylinder turbo-charged engine. This engine comes automatically with the car's sophisticated all-wheel drive system that provides extra traction and control even on wet, snowy, and slippery roads. When it comes to safety, the newest A3 on the market has you covered. This vehicle features a variety of passive safety features to protect you and your passengers if there's an accident. This includes front, side, and knee airbags and a passenger detection capability in the front. The traction control system, especially in combination with all-wheel drive, gives you optimal control and reassurance on the road. In the back seat, child safety locks keep children's seats safe and secure. A tire pressure monitoring system alerts you to when the car's tire pressure drops too low, and an anti-theft alarm protects your car from vandalism. On the outside, LED headlights move in the direction that your car is traveling to help you see clearly. The Audi A3 should be experienced in person and the best way to do this is to visit our dealership in Springfield and take a test drive.